Our confident, high stock market reminds me of another high stock market early in 1929. That was when one of my environmental heros, Gifford Pinchot, buoyed with financial confidence a rising stock market gives, planned the adventure of a lifetime. 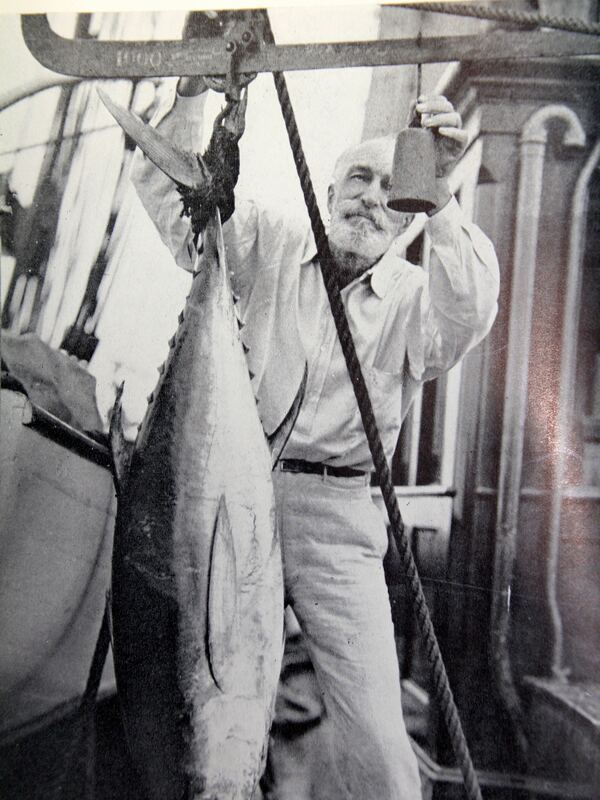 Gifford Pinchot and tuna catch. Financial security and the end of his Governorship of Pennsylvania presented Pinchot with a unique opportunity to carry out a boyhood dream. 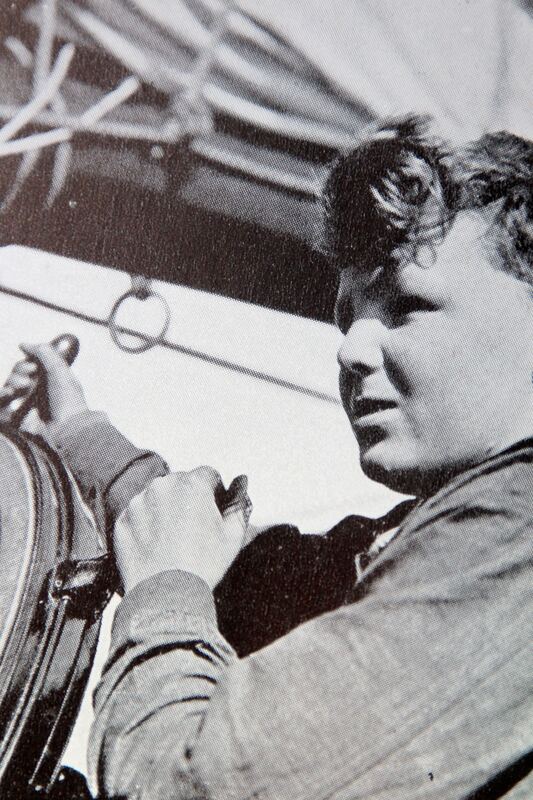 He would purchase a large sailing ship, hire a crew, bring experts on board and put out to sea with his family. There were giant sea bats to watch, sharks to avoid, Galapagos turtles to study, lava flows to cross, birds to photograph and lap dragons to catch. Grand adventure for adults, and a wonder for their 13 year old son, Giff, and his friend from Pennsylvania, Stiff. 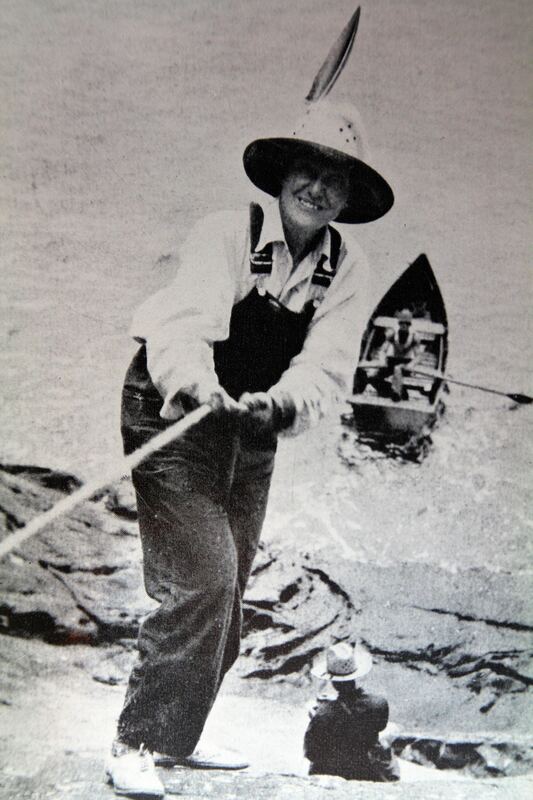 Pinchot bought a used ship, refitted her and gave her a new name, “Mary Pinchot,” after his mother. 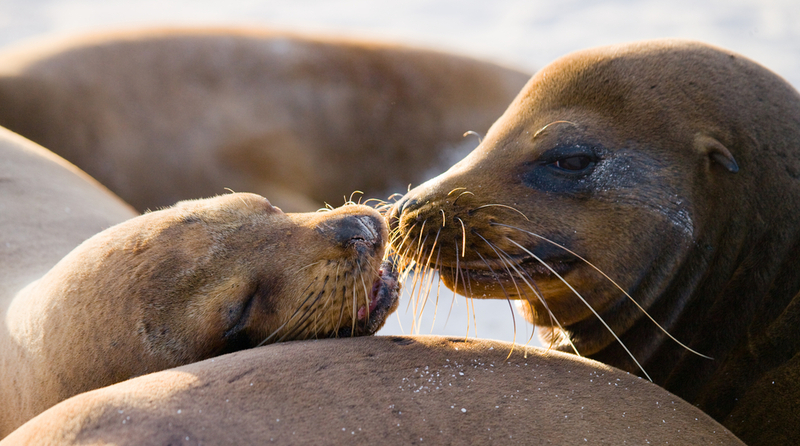 The family set out on an ambitious journey, sailing west to the Galapagos Islands and then to the South Seas, independent, free, but with no one to turn to in case of danger. A misjudgment caused damage to the ship’s rudder, requiring them to sail nearly 900 miles off course for repairs, through open seas that could turn against them at any moment, but they made it. 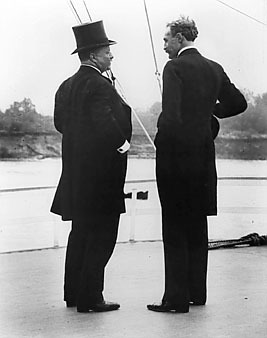 President Theodore Roosevelt with top hat stands with Gifford Pinchot. Gifford Pinchot is one of my environmental heros because of his work with President Theodore Roosevelt, establishing the National Forest Service and saving the Grand Canyon as well as other National monuments from development. To honor his memory, the United States Government established a Gifford Pinchot National Forest in Oregon. Family members on the voyage included Pinchot’s wife, Cornelia Bryce Pinchot, a politically savvy woman, who made her mark as one of the founders of the League of Women Voters. They also brought along their thirteen year old son, Giff, and his friend, Stiff Stahlnecker. 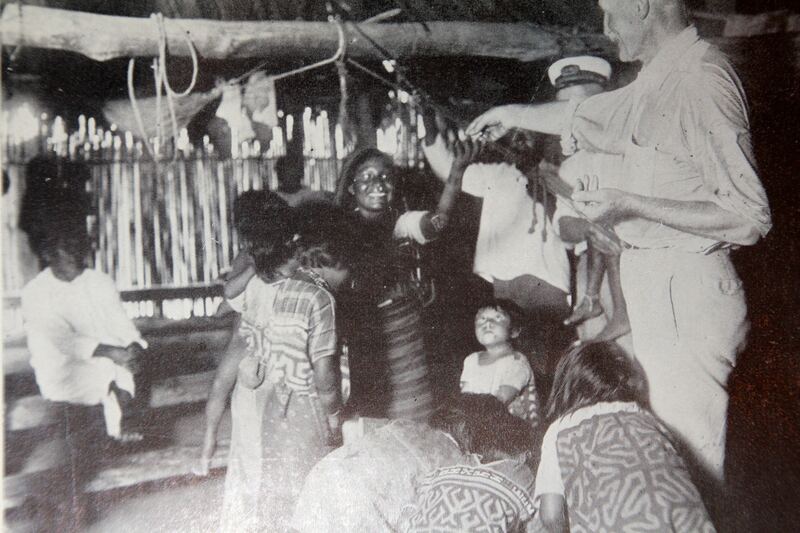 Gifford PInchot with the San Blas Island Indians. stock market. As the Pinchots reached the Caribbean, National City Bank pledged 25 million dollars to support the sliding stock prices. The pledge worked and a panic was averted. But steel and automobile production were winding down. Something bad was stirring. As the Pinchots visited Grand Cayman, Isla de Providencia and Isla de San Andre and crossed through the Panama Canal, the stock market stabilized. Cornelia Bryce Pinchot climbing from the dinghy onto one of the Galapagos Islands. Sailing south in the Pacific, what a thrill it must have been for the Pinchot expedition to visit the famed Galapagos Islands alone, without a tour group, having a free hand to examine the fascinating life at their own pace. They were walking in the footsteps of twenty-six year old Charles Darwin, whose zoological discoveries on the Islands, ninety-four years earlier, led to his theory of evolution. Now it was Gifford Pinchot’s turn to discover and collect and theorize. During the summer of 1929, as the stock market gained 20 points, the Pinchots left the Galapagos to cross the wide Pacific and visit the Marquesas, the Tuamotu Archipelago and Tahiti. They were collecting specimens and writing extensive field notes. Pinchot considered this journey to be partly a scientific expedition and brought with him ornithological and zoological experts, “for adventure, seasoned with science is the very best kind,” he wrote. Along with the scientists came a photographer, Howard Cleaves, who shot many still images and motion pictures of the adventure. Later, a movie of the journey was produced and exhibited in theatres and shown in private gatherings, accompanying free talks by Cornelia Pinchot. 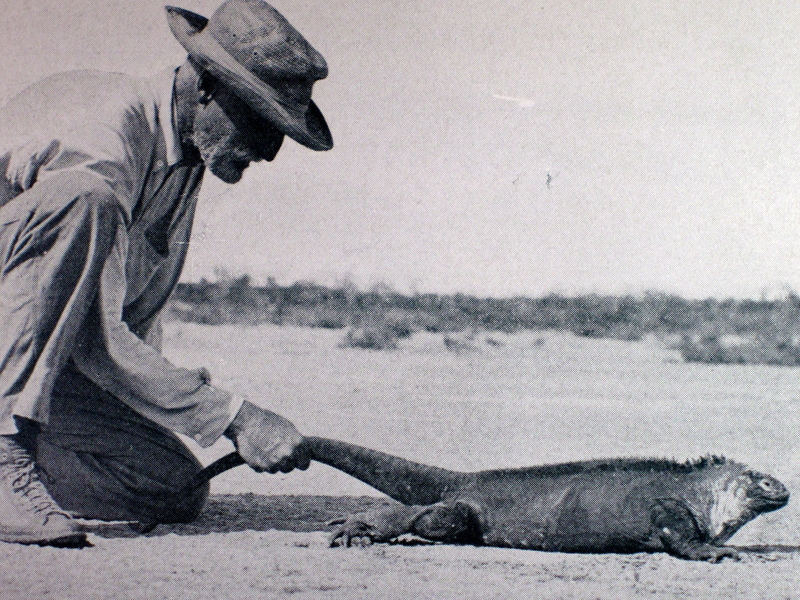 Gifford Pinchot tries to handle a lap dragon. When I first read it I knew it would make a great audiobook, not only because it was a great adventure, but also because of Pinchot’s entertaining style of writing. It was a pleasure to read and a pleasure to record. 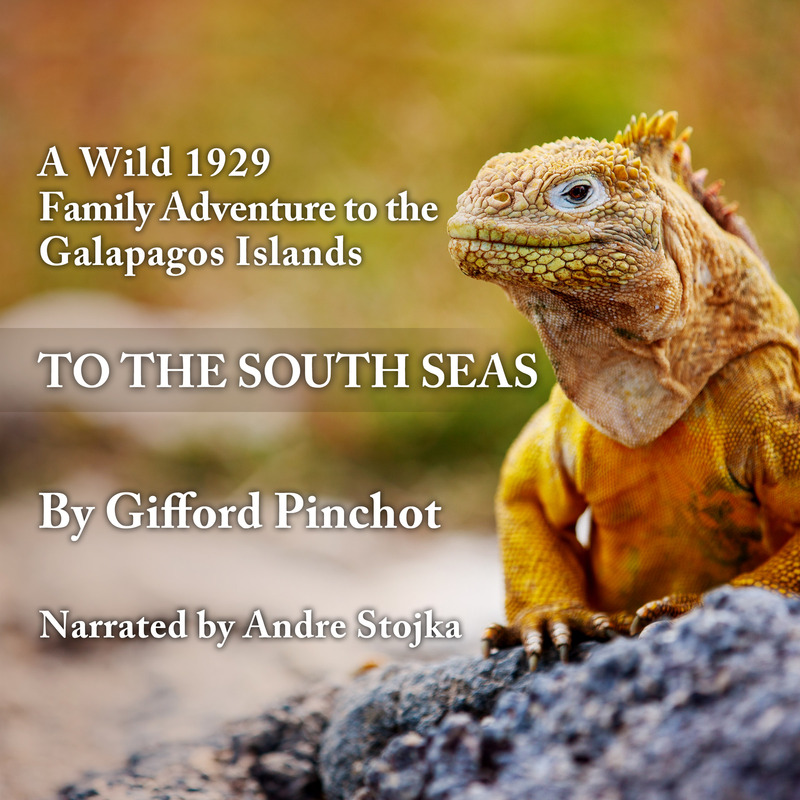 “TO THE SOUTH SEAS” by Gifford Pinchot is the 17th audiobook I have produced for our Listen 2 Read American Adventure Library. The Pinchot adventure ended in Tahiti on October 15, 1929. The Pinchot party took a passenger ship from Tahiti back to San Francisco. On October 24th, while they were on the high seas, returning home, the stock market began to crash. It was called “Black Thursday.” In a few days, the market worsened into “Black Tuesday.” By the time the Pinchots reached San Francisco, they were less rich than when they began the adventures. The world had changed during their South Seas summer and the American economy had collapsed. When they attempted to sell their ship, “The Mary Pinchot,” it took a very long time to find a buyer. Sadly, they sold her for less than half of what they paid for her. 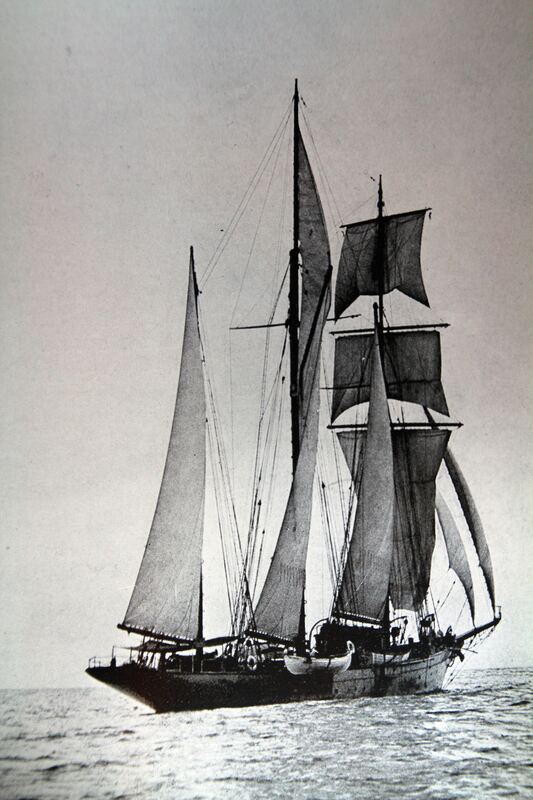 The Mary Pinchot under full sail. Still, the Pinchot expedition was highly successful. It had discovered new lizard, fish, and mollusk species. Their discoveries, collections and field notes contributed greatly to the science of zoology and ornithology. And, of course, they had memories to last a lifetime.